"Fringe meets Narnia at Hogwarts, with a touch of Lovecraft." Illustrations – some of the ebooks do not contain the illustrations. You can find them here. Who knew so much could go awry in one week? To thirteen-year-old Rachel Griffin, Roanoke Academy for the Sorcerous Arts is a place of magic and wonder. Nestled amidst the beauty of New York’s Hudson Highlands and hidden from the eyes of the mundane world, the school offers everything a young sorceress could desire—Brooms to fly, spells to learn, and the chance to finally make a true friend. On her first day of school, Rachel discovers her perfect memory has an unexpected side effect. She can see through the enchantment sorcerers use to hide their secrets. When someone tries to kill a fellow student, Rachel investigates. She soon discovers that, in the same way the magical Wise hide from mundane folk, another far-vaster secret world hides from the Wise. 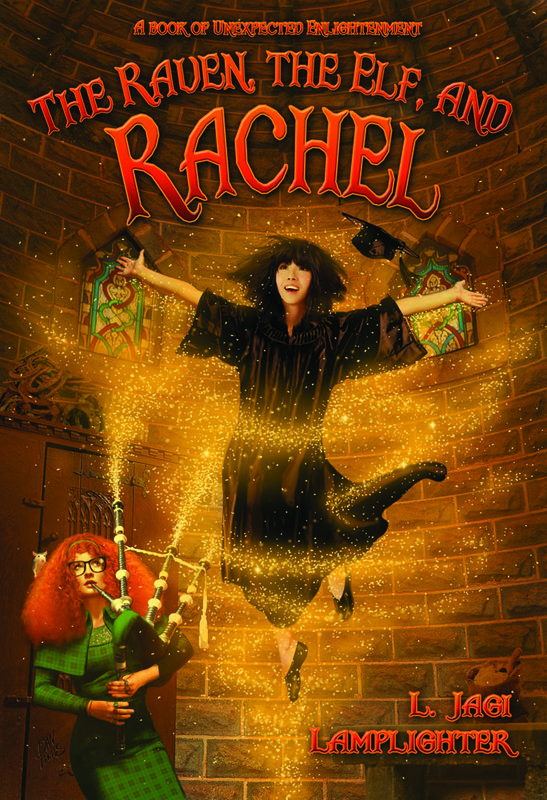 Rushing forward where others fear to tread, Rachel bravely faces wraiths, embarrassing magical pranks, mysterious older boys, a Raven that brings the doom of worlds, and at least one fire-breathing teacher. 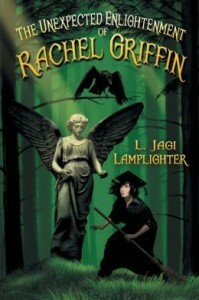 Described by fans as: "Fringe meets Narnia at Hogwarts", The Unexpected Enlightenment of Rachel Griffin is a tale of wonder and danger, romance and heartbreak, and, most of all, of magic and of a girl who refuses to be daunted. Curiosity may kill a cat, but nothing stops Rachel Griffin! Before coming to Roanoke Academy, Rachel Griffin had been an obedient girl–but it is hard to obey the rules when the world is in danger and no one will listen. Now, she's eavesdropping on Wisecraft Agents and breaking a great many regulations. 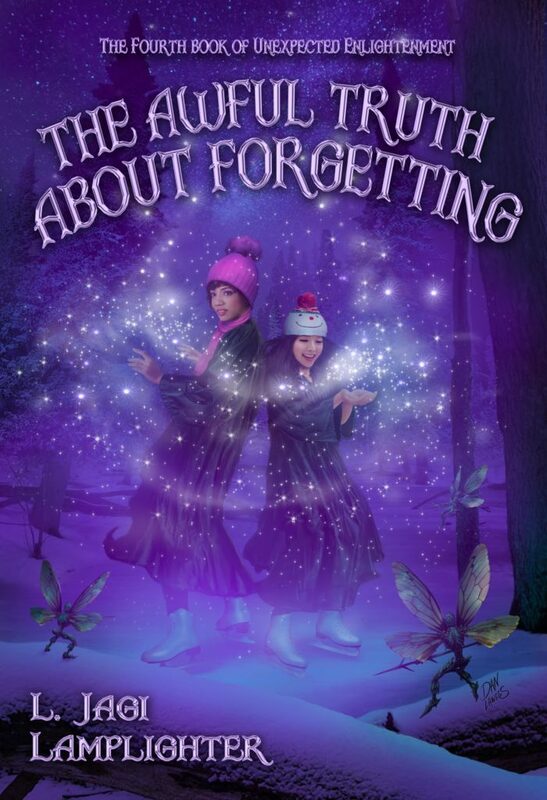 Because if the adults will not believe her, then it is up to Rachel and her friends–crazy, orphan-boy Sigfried the Dragonslayer and Nastasia, the Princess of Magical Australia–to stop the insidious Mortimer Egg from destroying the world. But first, she must survive truth spells, fights with her brother, detention, Alchemy experiments, talking to elves, and conjuring class. Oh, and the Raven with blood-red eyes continues to watch her. It is said to be the omen of the Doom of Worlds. Will her attempts to save her world bring the Raven's wrath down upon her? And as if that is not bad enough, someone has just turned the boy she likes into a sheep. As Halloween approaches, Rachel Griffin is starting to fit into life at Roanoke Academy for the Sorcerous Arts. She’s made friends with the world-famous Sigfried Smith and his dragon Lucky, and with the princess of Magical Australia. Though, at thirteen, Rachel is the youngest student, she actually has a boyfriend—an older boy, no less, the infamous Gaius Valiant. On her very first night at Roanoke Academy, Rachel discovered that mysterious forces were at work, forces that threatened everything she held dear. Before she could catch her breath, she was in the thick of a magical battle that threatened the lives of her fellow students. 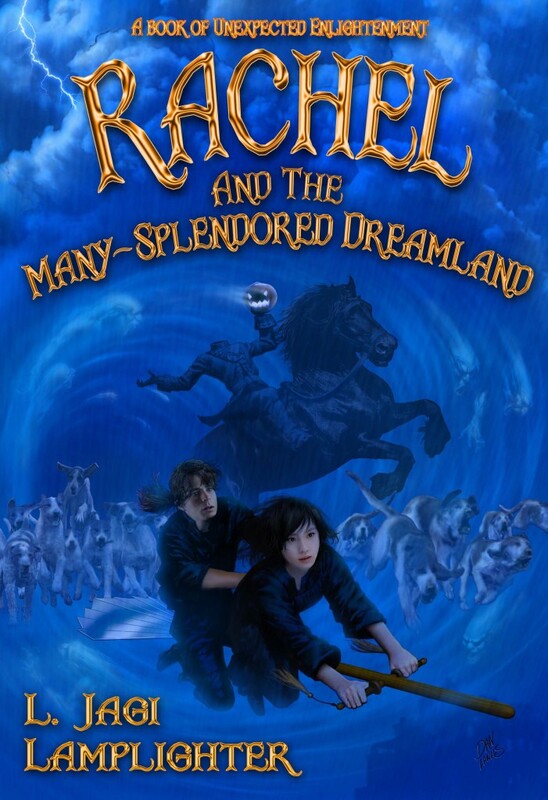 Despite her short stature and tender years, Rachel has already fought demons and fire-breathing dragons, and she has seen unseen things hidden from sight of others. But when the magical Elf who watches over her warns her of a terrible danger, Rachel is unable to convince either Roanoke Tutors or Agents of the Wisecraft that malevolent forces are gathering and a larger battle looms. Even the ghostly gaiety of the Dead Man’s Ball, on All Hallow’s Eve, can’t distract Rachel. The doom she has feared is more imminent than even her Elf could have imagined. And neither time, distance, nor her gifted magical family can save her from a dire fate in a distant land . . . Described as SUPERNATURAL meets Narnia at Hogwarts, the Books of Unexpected Enlightenment are both darker and more wonder-filled than expected. Cast of Characters from the series. Illustrations – See some of the interal illustrations.